The death of Venezuelan President Hugo Chavez on March 5th 2013 after 14 years of populist rule, has implications not only for Venezuela’s political future, but potentially for the future of US – Venezuelan relations. This book provides a brief discussion of those implications. Venezuela is facing a political crisis under the authoritarian rule of President Nicolas Maduro, who appears to have continued to consolidate power over the political opposition in recent months. Underpinning Venezuela’s political crisis is an economic crisis. Venezuela is a major oil producer and exporter, and the 2014 crash in oil prices, combined with years of economic mismanagement, hits Venezuela’s economy hard. 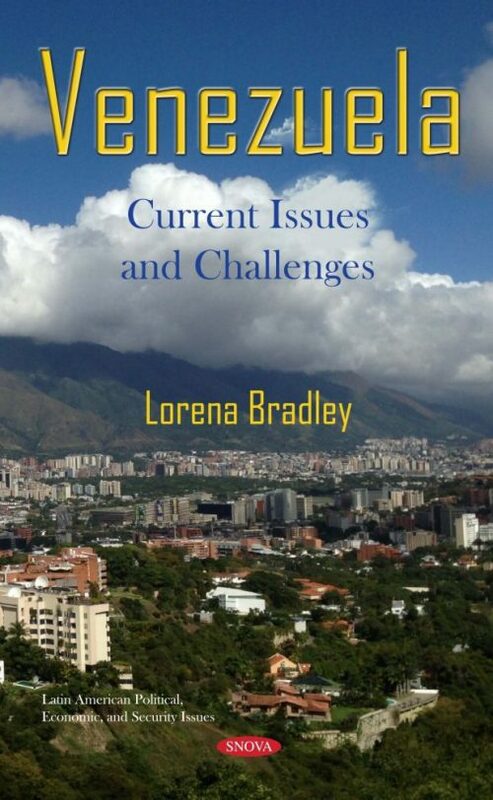 This book analyses the current economic crisis in Venezuela, arguably the most acute crisis in the global economy today, including the causes, policy responses by the government and recent developments. It also examines how the crisis affects US economic interests, including US investor’s holdings of Venezuelan bonds, Venezuelan assets in the United States, US – Venezuelan trade and direct investment, and possible future involvement of the International Monetary Fund (IMF) in the crisis.